HomeSocial IssuesMedia BiasIf an Obama scandal is revealed but the media ignores it…. Which gets me to the Nunes memo. The memo, which is highly classified, purportedly contains Rep. Devin Nunes’ conclusions, based upon viewing other classified material, that the Obama administration, the Hillary campaign, and the DNC, were up to their eyeballs in highly illegal surveillance activity directed against Donald Trump, all in an effort to destroy his candidacy and place Hillary in the White House. If true, the Obama scandal instantly turns Watergate into Nothing-gate, and reveals an attack on America’s representative democracy the likes of which we’ve never seen before. In my conservative world (blogs, emails, and conservative Facebook groups), everyone is talking about the Nunes memo’s potential finally to reveal a vast Obama scandal. In my Progressive world, though, no one is talking about it at all. You know why? They don’t know about it. 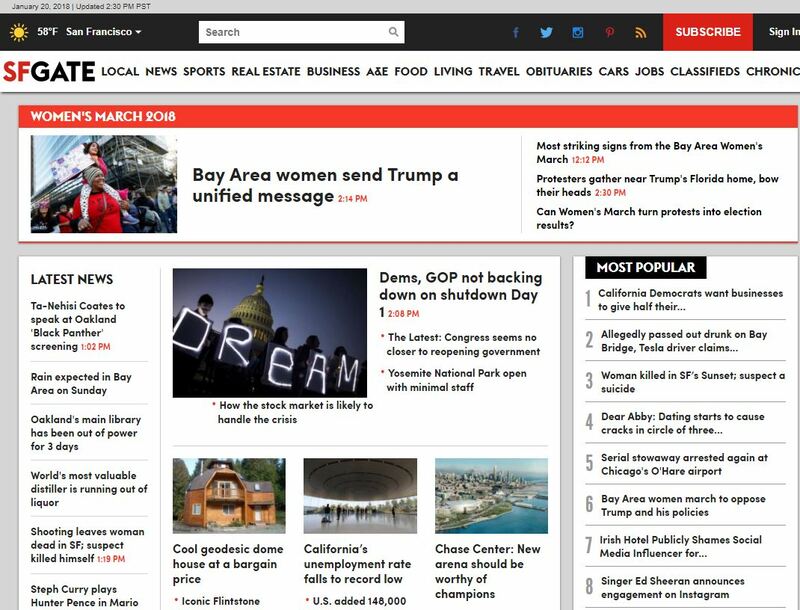 The mainstream media is either ignoring the Nunes memo or completely downplaying it. CNN’s take is that it’s just partisan game-playing, proving nothing. This is the same Leftist media, of course, that thinks that, when Glenn Simpson’s testimony to the effect that based on no evidence whatsoever but some hatred and gut instincts, “I think Trump is laundering money,” this is the precise equivalent of “Trump is laundering money.” It’s also the same Leftist media that, in the case of the New York Times, put the Abu Ghraib story on the front page for 47 separate days, even though few new facts emerged to justify this time of coverage. Somehow the Times never found the same enthusiasm for the IRS scandal, Fast & Furious, Obamacare lies, spying on journalists (which is, apparently, less bad than hurting their feelings), Benghazi, Hillary’s secret server, etc. All of those got the “bottom of page B47” treatment. 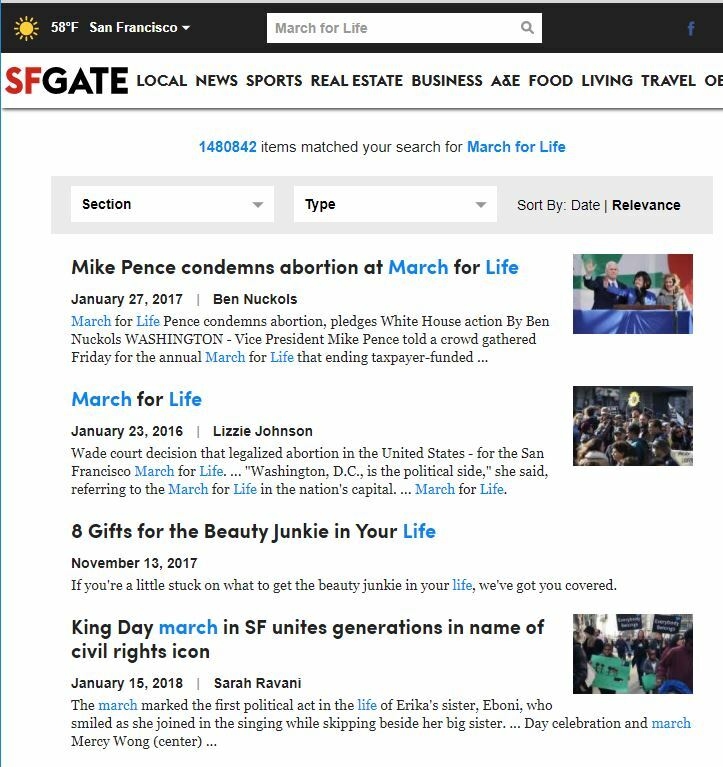 As a San Francisco native who grew up reading the Comical, it wasn’t until the internet came along that I even knew there was a March for Life taking place in American cities, including my home town. Four more slightly random points regarding this weekend’s marches before I get back to my point about media coverage or, rather, its absence. First point is that, on my Facebook feed, I’ve seen Progressives castigating Trump as a hypocrite because he used to support abortion. I also used to support it wholeheartedly. Now, I’m mostly pro-Life, probably for the same reason President Trump is: We looked into the abortion abyss and pulled back, repulsed. Abortion today is not about liberating women. It’s about death and, often, about minority deaths. It’s a slippery slope that devalues life until we become a place of upside down values in which Nancy Pelosi, an ostensible Catholic, claims abortion is sacred. This is just so morally wrong, I don’t want to be a party to it anymore and I don’t think Trump does either. People do grow and change. How can #NeverTrumpers not see beyond their own prejudices to the wonders of this president? And how can #NeverTrumpers, Democrats, Progressives, and the whole cohort of people arrayed against Trump continue to call him stupid? Third point is that Dawn Perlmutter’s Mean Girls, Nasty Women & Queen Bees : The embarrassing collapse of the feminist movement is a must-read. How can you not love this? They are political Barbie dolls in pink hats trying to give meaning to their empty plastic boring lives by bashing President Trump. In-crowd membership requires spewing anti-Trump talking points, pledging to always vote democrat and emasculating their husbands. The women who choose to dress as giant vaginas at the marches simply have more issues than there is room to describe in this article. The truly despicable women are the Queen Bees epitomized by Hillary Clinton, Linda Sarsour and Meryl Streep. ‘Queen Bees’ are women who do not mind living in a man’s world as long as they can hold power and position in it. Unlike mean girls and nasty women, cliques, popularity and protests are just a means to an end. They do not want to empower women, just the opposite, they perpetuate institutionalized sexism, so they can use it to their advantage. To earn power, these women exploit women’s issues, protect sexual predators and step on the heads of other women even if they are wearing pussyhats. Fourth point is that Scott Adams thinks that the Republicans are doing some magnificent trolling of their own with the Nunes memo. They don’t need to release it, he says. They just need to gossip about it. I’d like there to be a blazing fire behind this smoke, but Adams has a point that the smoke will get some good traction too even if we never see the fire. Most people are headline readers. If the media spins the headlines or refuses to cover something at all, for most people, it hasn’t happened, or it’s happened in the way the media said. I think America’s media is the answer to that philosophical question asking whether a tree makes a sound if it falls in a forest but there is no one there to hear it fall. If the media plugs our ears and covers our eyes, not only does the tree not make a sound, it doesn’t even fall. As always, I am interested in what you think. I don’t often throw in my own two-cents when people comment (mostly because anything I had to say is in my post already), but I do read every comment, and I learn something from most of them.